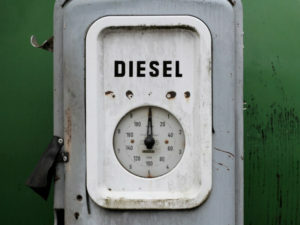 Older diesels are to be banned from Bonn and Cologne from April 2019 following a court ruling. A judge in the Administrative Court of Cologne court ruled this afternoon that Cologne must introduce a diesel ban on vehicles of Euro 4 emissions standard and below by April 2019, expanding to include Euro 5 vehicles in September. The city of Bonn was told to introduce diesel bans on two major roads – including one street that must exclude cars up to and including Euro 5-compliant models from April – and to retrofit its main bus fleet to clean up emissions. The case is the latest in a long line of legal actions brought about by environmental protection organisations ClientEarth and Deutsche Umwelthilfe (DUH) after the German Federal court clarified that cities can ban older diesels from their streets and are actually required to do so in areas where they are the fastest solution to pollution. It follows the announcement three weeks ago that Berlin had become the sixth city to be told to introduce a ban; both ClientEarth and DUH had warned at the time that further rulings were due imminently. And clean air hearings in Essen, Gelsenkirchen and Darmstadt are expected in the coming weeks. The ruling comes as the controversy continues over Chancellor Angela Merkel’s announcement last week of plans to raise the pollution threshold for court-ordered diesel bans above the EU legal limit for cities only slightly in exceedance. Carmakers are also coming under pressure to fund diesel hardware upgrades, with VW and Daimler reported to be supportive of the measures while BMW is said to be rejecting government calls for the hardware, which it said could increase fuel consumption. Speaking today, Hermann Ott, head of ClientEarth’s Germany office, said: “This fresh ruling shows that recent proposals to water down laws that protect people will not fly. “Courts have ruled for diesel bans in every single case that’s been heard since the February ruling in Leipzig. This trend is not set to stop. We need the German government to stop denying the problem and start acting. DUH CEO Jürgen Resch added: “The court has dealt another resounding blow to the federal government, which is still being led by the nose by the motor industry. The government is now more or less acting as auto heavyweights’ marketing team by encouraging the sale of new, supposedly cleaner vehicles.